1/10/09 to Caroline Markworth, Ohio EPA Public Relations Dept. 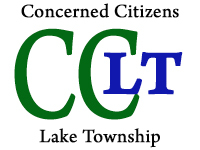 | Concerned Citizens Lake Twp. Home » Letters » 1/10/09 to Caroline Markworth, Ohio EPA Public Relations Dept. 1/10/09 to Caroline Markworth, Ohio EPA Public Relations Dept. Ohio EPA Public Relations Dept. It has now been approx. six months since the Ohio EPA NEDO solicited public comment via the local news media regarding threats to the water quality of the Nimishillen Creek areas, after the Ohio EPA called the watershed “mediocre” ( Canton Rep, 7/2/08 article). This is our citizens’ group’s third letter seeking Ohio EPA’s written responses to our list of comments/ concerns presented last summer to OEPA’s Bill Zawiski. With those concerns we requested that OEPA provide supporting scientific documentation OEPA has derived from actual field data that can be readily peer-reviewed. We are deeply concerned that dangerous contaminants being flushed on-going from the IEL Superfund site dumped by the Army and other polluters and currently undetected ( such as radioactive Plutonium & Tc 99) – due to lack of proper monitoring at IEL – could be getting into the Nimishillen waterways south of IEL. As you may know, the highly respected US Geological Survey previously issued two major reports indicating the flow from the Uniontown IEL Superfund Site is “radial”, with emphasis, that indeed, part of the flow in particular maybe going to the Southeast of IEL. ( US GS publicly in 1994 recommended additional test wells SE of IEL for this reason, that were never implemented). We are gravely concerned because, coupled with the US GS’s concerns, it appears according to the Stark County drainage mapping, that certain branches of the Nimishillen Creek in question appear to begin in close proximity to the SE area of IEL that the US GS raised concerns about. (I.e, See Stark maps of the branches located near Mogadore Ave. and Lake Center vicinity provided to Ohio EPA and US EPA earlier, as well as see on CCLT’s website colored “Map 46 A” under reports, stream areas SW of IEL at Cain & Wise Rds down to N. Canton). CCLT posed in our formal comments key technical concerns to OEPA’s Mr. Zawiski, asking for concrete field data because unfortunately, far too often in the past, EPA has provided only mere speculative responses that cannot be scientifically supported. Clearly, we don’t trust the most recent PRP generated data ( for obvious reasons!) data that has been outrageously relied upon exclusively by both US and Ohio EPA to refute the prestigious US GS. However, it is worthwhile noting that even the PRP’s own contractor’s assessments performed at IEL in 1997 appeared to concur with US GS regarding some of the flow from IEL being toward the east/southeast/south! Furthermore, this same PRP data was in turn then cited officially by the Ohio EPA report written in 2001 ( those excerpts were previously faxed to Director Korleski & Gov. Strickland) . Therefore,clearly our citizens’ longstanding concerns are well founded and definitely warrant scientfically verifiable answers for a change. It is important to convey that we are not only very worried about area residents who rely upon private wells in these areas with southerly directions from Uniontown IEL, but we also must question whether there are major public well fields in North Canton both SW and SE from IEL along certain Nimishillen Creek tributaries/branches that potentially may be drawing from these stream areas via the massive pumping of shallow water depths. Example: The Ohio State/Beanland Report 2003 (note: this report’s cover page shows that this report was signed and “approved” by Dr. Scott E. Bair, who in the past served not only as a consultant for the respected US GS, but was reportedly trusted by North Canton officials, such as former Mayor Revoldt, regarding water issues, as well as the US EPA , ATSDR, etc.). …. On page 112 of this 2003 O.S. U./ Beanland report under conclusions, a bullet states: …”Of the 2100 gallons per minute pumped by the municipal well (in N. Canton), the model indicates that 90 percent or 1900 gallons per minute was derived from river leakage and 10 percent was derived from the shallow aquifer.”…..
page 113, bullet # 5 it reads: Induced infiltration of the West Branch of the Nimishillen Creek due to pumping well PW # 8 can be observed on both the aquifer test results and the predictive steady-state model. page 52 of the report it also stated: ….The groundwater sampled at OW # 4 has a chemical signature similar to the surface-water samples ( Fig. 3.15 and 3.16). Therefore, given the above concerns voiced in this OSU report as a whole, along with the data/issues previously raised by the US GS, IEL PRP’s, OEPA/2001, and independent academic experts, in conjunction with what appears on the Stark County Drainage mapping -which suggest certain Nimishillen branches of concern seem to be traceable back nearly all the way up to Uniontown IEL’s SE corner area from the well field area(s) in N. Canton, we sincerely hope that EPA will finally be able to provide citizens’ its long over due response in the near future with the requested documentation, so that we can have the response peer reviewed to ascertain if there are any possible threats to the health and welfare of our area citizens being posed by the IEL site in these directions, given that the hundreds of thousands of tons of hazardous substances buried within the sand and gra vel pit known as the IEL site, remains unremediated and therefore a long term threat to surrounding aquifer systems both shallow and deep.